USPA NEWS - The Mercedes-Benz Museum and the ALL TIME STARS vehicle trading organisation of Mercedes-Benz Classic will attend the eleventh Hamburg-Berlin Classic Rally with numerous vehicles. This year the regularity rally for recent and older classics takes the form of a North Sea tour, covering six stages from Bremen to Hamburg from 13 to 15 September 2018. All in all around 180 classic cars will take part. Vehicles brought to the Rally by the Stuttgart-based brand include an authentic replica of the world´s first automobile, various SL sports cars, including a 300 SL Roadster, an SLC Coupé, a 220 D “Stroke Eight" as a pickup and an E 500 Limited. Under the motto “Classics on course for the North Sea", this year’s Hamburg-Berlin Classic (HBK) Rally will explore Germany’s north-west. Departing from the harbour in Bremen, the regularity tour will take the approx. 180 old and more recent classics to the main fish market in Hamburg in six stages. Along the route are Oldenburg, the North Sea coast with the ferry ports of Neuharlingersiel and Harlesiel, Schloss Gödens, the artists’ village of Worpswede and the Lüneburg Heath. Mercedes-Benz 280 SL “Pagoda” from the 113 series. Mercedes-Benz E 500 Limited (W 124). Mercedes-Benz Classic is strongly represented at this eleventh HBK Rally: The Mercedes-Benz Museum and the vehicle trading organisation ALL TIME STARS will take part in the Rally with five automobiles from the collection and two sporty cars from the current portfolio of ALL TIME STARS. This involvement exemplifies the care the world’s oldest automobile manufacturer takes to preserve history by taking part in tours and regularity rallies. Events of this kind include the legendary 1000 Miglia in Italy and the 2018 Hamburg-Berlin Classic Rally. The Mercedes-Benz Museum will present a particularly historic vehicle at the start from Warehouse One in Bremen’s harbour area, and at the finish of the Rally at the fish market in Hamburg: an authentic replica of the Benz Patent Motor Car of 1886, the world’s first automobile, will accompany the participants at the start on Thursday, 13 September 2018 and at the finishing line on Saturday, 15 September 2018. Four cars from the collection of Mercedes-Benz Classic will take part in the Rally itself. There are even two Mercedes-Benz 280 SL “Pagodas” to remember the premiere of this third and most powerful variant of the 113 series 50 years ago. The 280 SL was in production from 1968 to 1971. The cars taking part in the Rally will have a sand metallic and a silver metallic paint finish. 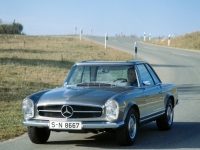 Another 50-year anniversary is marked by the 220 D Pickup (W 115). This versatile pickup stands for the highly successful Mercedes-Benz “Stroke Eight” model series W 114 and W 115, which premiered in 1968. Between then and 1976, over 1.9 million saloons, long-wheelbase saloons, coupés and chassis versions were produced of this, the brand’s first million-seller. In 1973 it was on such a chassis for special bodies that this vehicle was given its pickup body by a body manufacturer. It is an early ancestor of the current Mercedes-Benz X-Class. 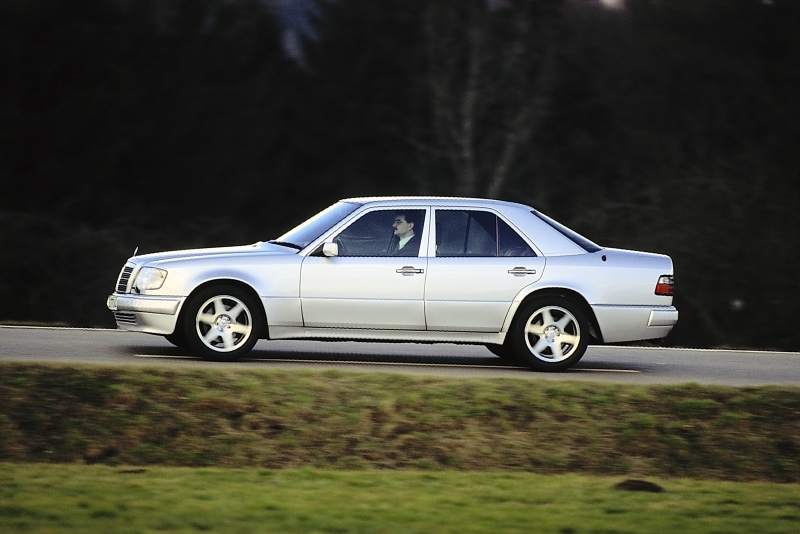 The Mercedes-Benz E 500 Limited in brilliant silver dating from 1994 is a high-performance automobile par excellence. 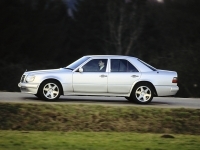 The 124 series high-performance saloon with the 235 kW (320 hp) V8 engine celebrated its premiere as the 500 E at the Paris Motor Show in October 1990. This exclusive model, which had a price tag of almost 135,000 DM when it appeared, was produced in close collaboration with Porsche. Only 500 units of the special E 500 model with an especially exclusive specification were produced. ALL TIME STARS, the vehicle trading organisation of Mercedes-Benz Classic, will bring two very different, sporty vehicles (subject to sale) from the current portfolio to Hamburg: a Mercedes-Benz 300 SL Roadster (W 198) and a Mercedes-Benz 450 SLC 5.0 (C 107). The 300 SL Roadster is one of the dream cars of the brand. The vehicle brought by ALL TIME STARS dates from 1960 and has just 640 kilometres after a mechanical revision on the clock. The colour combination with an exterior in silver grey metallic and a red leather interior is a classic. The Mercedes-Benz 450 SLC 5.0 is one of the luxurious and sporty luxury-class coupés derived from the SL roadsters of the 107 series. It had its debut in September 1977 as the new flagship model in the 107 series, with aluminium engine block, bonnet, boot lid and bumpers. In June 1979 the vehicle brought by ALL TIME STARS was delivered to its so far only owner, who rarely drove the SLC and cared for it lovingly. That explains why the overall condition of the car is still outstanding after almost 40 years. The Hamburg-Berlin Classic Rally is organised by the German motoring magazine “AUTO BILD”. Automobiles produced up to 1998 are eligible, and start in four categories: Pre-war vehicles (up to 1939), 1940 to 1955, 1956 to 1978 and recent classics (1979 to 1998). In 2018 the total distance is around 700 kilometres divided into six stages. On Thursday, 13 September around 180 classics will take to the starting line at Warehouse One in Bremen. On that day the first stage will take place as a prologue in and around the Hansa city of Bremen. On 14 September 2018 (Friday), three stages are scheduled for the first time in the HBK’s history. Sights along the route include Oldenburg, Westerstede aerodrome, the North Sea coast, Jever and Schloss Gödens. The last two stages on 15 September 2018 (Saturday) are from Bremen to Hamburg, the finishing line being the auction hall of the fish market directly by the river Elbe. On 29 January 1886, Carl Benz applied for a patent on his “ gas-powered vehicle”. Patent number DRP 37435 ranks as the birth certificate of the automobile, and gave its name to the Patent Motor Car. 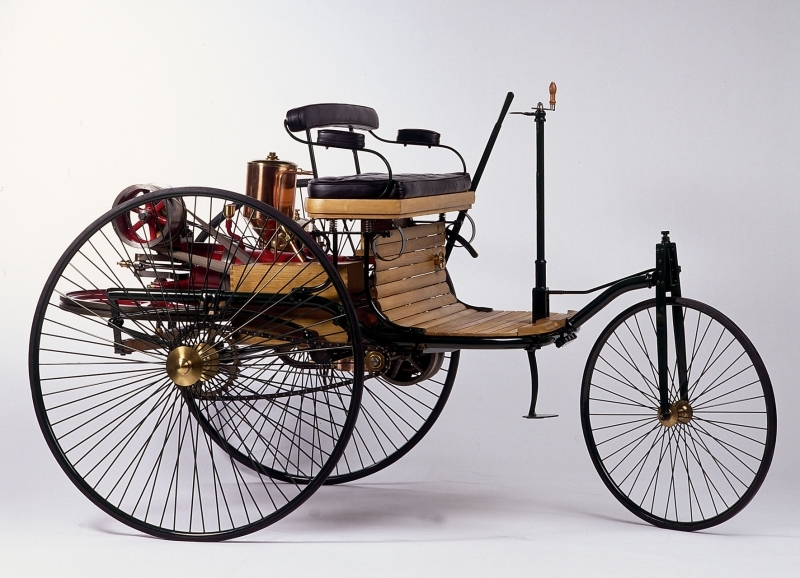 The world’s first automobile was a distinctive design in which the engine and chassis formed an organic unit. Benz designed it as a three-wheeler, as he was not convinced by the drawbar steering used for coaches. Carl Benz’s key achievement was the persistence with which he turned his vision of a “horseless carriage” into reality: he had the idea for a motor vehicle, designed it, built it, patented it, tested it, brought it to market, produced it in large numbers, developed it further and therefore made his invention usable. 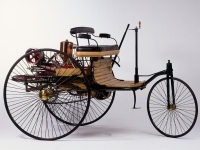 The Benz Patent Motor Car ushered in a new era of personal mobility. In March 1963 the Mercedes-Benz 230 SL with its clear and unmistakable contours replaced both the 190 SL and the 300 SL Roadster. Its bodyshell with a rigid passenger cell and crumple zones provided extremely good occupant safety. The new sports car was available in three versions: as a roadster with a very easily operated folding soft top, as a purely hardtop coupé and as a combination of both variants with a soft top and coupé roof. Owing to its concave hardtop reminiscent of Far-Eastern temples, the 230 SL was dubbed the “Pagoda”, a nickname also applied to the succeeding 250 SL and 280 SL models. 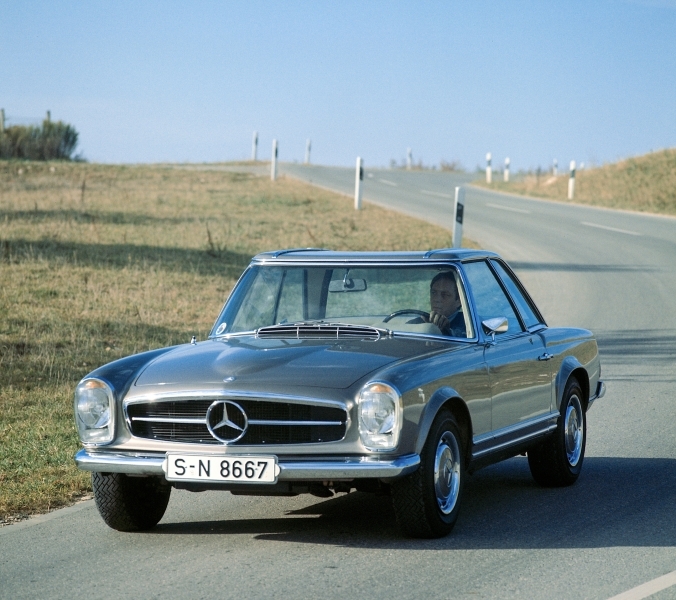 Today the 280 SL introduced in early 1968 as the most powerful variant in the series is particularly popular. More than 50 years ago, the luxury sports car with optional extras such as an automatic transmission and power steering already demonstrated impressively how sportiness and comfort can be combined. The Mercedes-Benz 220 D Pickup is a rare special variant of the “Stroke Eight” series. This predecessor of today’s E-Class became Mercedes-Benz’s first million-seller. The versatile platform truck, an ancestor of the new Mercedes-Benz X-Class, was based on a “chassis for special bodies”, such as ambulances, estate cars and hearses. A body manufacturer converted it into the pickup exhibited, which was used for many years by Stuttgarter Strassenbahnen AG as a service vehicle for the lubrication of rail points. In the 1970s, similar “Stroke Eight” pickups with single or double cabs were even produced directly at the Argentinean Mercedes-Benz plant in Gonsález Catán in the greater Buenos Aires area. These too were based on the chassis for special bodies, which was supplied as a CKD (completely knocked down) kit from Stuttgart. At the Bremen-Hamburg Classic Rally, this unusual vehicle also recalls the anniversary of the W 114 and W 115 “Stroke Eight” model series, which made its debut in 1968, i.e. 50 years ago. With its presentation in 1984, the 124 series in the Mercedes-Benz executive segment set the standard for safety and efficiency. Systematic lightweight design and exemplary aerodynamics resulted in increased fuel economy and improved performance. Excellent handling safety was guaranteed by the innovative multi-link independent suspension. Mercedes-Benz also played a pioneering role in reducing exhaust emissions: from autumn 1986, all petrol-engined models came as standard with the best exhaust aftertreatment available at the time, a three-way catalytic converter. In 1990 the top-of-the-line 500 E made its debut. The high-performance saloon came with a powerful eight-cylinder engine. When the 124 series was renamed the E-Class in June 1993 – alongside the S-Class and C-Class – the model designation was changed to E 500. The E 500 Limited appeared in 1994 as a special model with a particularly exclusive equipment line, with just 500 units produced.